Messages, testimonies, videos, pictures, and more . 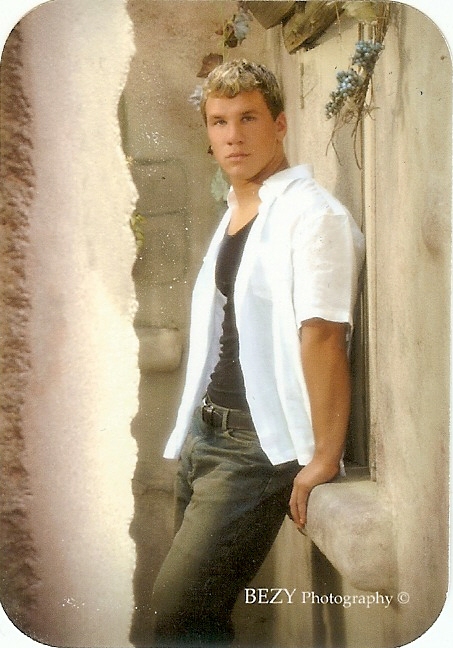 . .
Mary of Medjugorje comes to save young man through apparition on the Internet! I have heard many beautiful stories of Mary coming to a person and pulling them out of darkness in an instant, with her overwhelming embrace of love, and this is perhaps the most immediate conversion I’ve encountered. And, of all ways, it happened through the Internet! Scurrying down the steps, I frantically found myself in search of my gym shoes, which I’d misplaced the night before. I was due at the gym in five minutes to meet friends for a Thursday evening workout. Yes, once again, I was running late. At that exact moment, my phone rang. It was my mother: “Did you get a chance to watch Ivan’s and Marija’s apparition yet?” she asked. Responding impatiently, I replied “No mom, I’m already late as it is. I’ll watch it when I get back.” Sitting down to tie my shoes, I suddenly stopped. Feeling drawn towards the webcast of the Medjugorje visionaries’ apparition, and guilty for being reluctant with my mother, I gave in. It was the evening of September the 23rd, 2010, and my life, as I knew it, was never going to be the same. Growing up I attended St. Bernadette Catholic grade school. Although tuition was expensive, the sacrifice my parents endured was worth the Catholic-based education my siblings and I received. Their sacrifice instilled in me a foundation I would newly discover later in life. When I was in grade school, we attended weekly Mass, including Sundays. After my eighth grade year, I decided to enroll in a public high school, solely for athletic reasons, and found myself going to Mass on Sundays only. And to be honest, the only reason I went is because my parents forced me and my twin brother to go; if I’d had it my way, I would have slept in until noon. Life at this time was going as planned. I graduated from high school and entered my first year of college. College was exciting: new friends, new environment, living away from my parents. However, with this newly acquired freedom came the element of choice. I suddenly found myself choosing not to attend Mass. At this stage in my life, I became distant from God and the Catholic Church. I obtained a job working security at a downtown club and started traveling down a dead-end path. I found myself going home with various women whom I met at work. On several occasions, I ended up at strip-clubs until the early morning hours. With after-hour parties taking place weekly, there wasn’t a weekend when I was in bed sleeping before the sun came up. I would drive home intoxicated, past the church I used to attend, observing families arriving at morning Sunday Mass. The devil had me right where he wanted me, and I was only adding fuel to his fire. My life continued on this path for the next several years. One evening my mother invited me to attend a speaking engagement at our local parish, where a man, having returned from the pilgrimage site of Medjugorje, gave a testimony of his recent trip to the small town located near Bosnia and Herzegovina. I reluctantly went, only because it would make my mother happy. As I sat there that night, I heard the man talk about a place where six visionaries were experiencing apparitions of Our Blessed Mother. I had no clue about Medjugorje, and to be completely honest, I didn’t care and wasn’t really paying attention. I couldn’t wait to get out of there. Time passed until last September, 2010. As a gift, my mother gave me a book that left a great impression on me. The book was titled, Queen of the Cosmos: Interviews with the Visionaries of Medjugorje. I took the book to work where it sat on my desk for several weeks, collecting dust. One day while sitting at work, with an hour or so to spare, and nothing else to do, I did something that would forever impact the depths of my soul. I opened the book and began to read. In this book, the visionaries shared how they saw the Virgin Mary, as I’ve never heard Her described, comparing Her beauty to beyond our comprehension. As I continued to read, I began to fall completely in love with the lady whom they were describing. After reading the book in just two days, I knew nothing but understood everything. This young, pure, loving, vibrant woman was my Mother, and I was Her son. I developed a passion and curiosity for the apparitions of Our Lady of Medjugorje, and this marked the beginning of what I call my miraculous conversion through her intercession. A week after I’d read the Queen of the Cosmos book, my mother informed me that an apparition would be streamed live through the internet to various parts of the globe; and not only this, but according to the visionary Ivan, special graces would be granted to those witnessing the broadcast of the apparition, no matter where they were located. Although I felt somewhat reluctant to take time to observe the apparition, I was extremely excited to see the visionaries Ivan and Marija communicate with the Mother of God. That night of September 23rd, 2010, I was twenty-four years old, still very young, and with my whole life ahead of me. However, after feeling the love of Mary, I was truly ready to die. I never saw her with my eyes, but I felt her with my whole being. Knowing that I could never receive that same love from anything or anyone here on Earth, I was ready to leave this world and go with Our Blessed Mother. It was a love so indescribable that at one point I cried out, “Mary, I’m ready to go. Mother, if you want to, take me with you, I’m ready.” And I meant this from the depths of my soul. Growing up Catholic, I had received the Sacrament of Reconciliation many times, confessing my sins, not out of sorrow, but due to the fear of hell. As I sat wondering if my tears were ever going to cease, I realized that for the first time in my life, I was truly sorry for everything I’d done. I mean I was truly sorry from the bottom of my heart. I managed to pick my head up, and with tears streaming down my face, for the first time, I looked to God and said, “I’m sorry! I’m so sorry!” And I truly meant it. After experiencing this miraculous conversion, I did one of the scariest things I’ve ever done in my life. I gave my yes to God; I gave Him complete control over my life. I figured I’d messed things up enough; and by turning the reigns over to Him, I couldn’t go wrong. Ever since giving God and Mother Mary my yes, I’ve been blessed with many gifts. 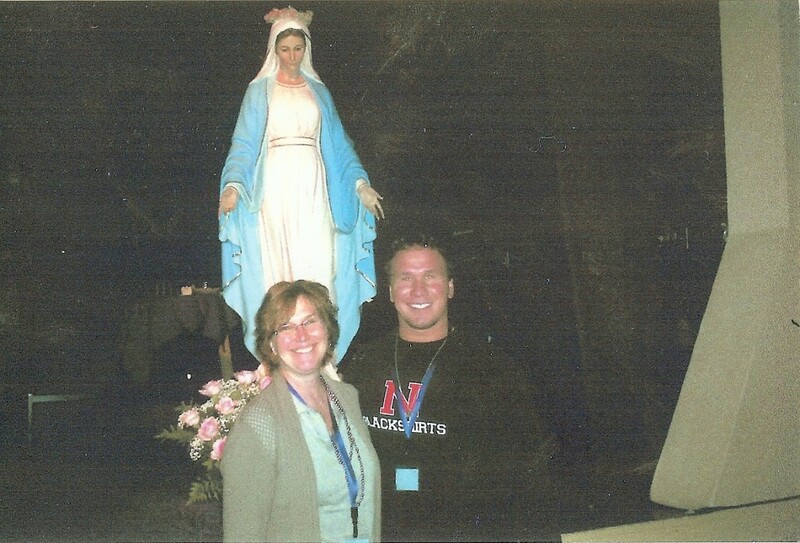 Six months after my conversion, my mother and I flew to Sacramento, California, for a Medjugorje conference. To our surprise, the Medjugorje visionary, Marija, was present there. 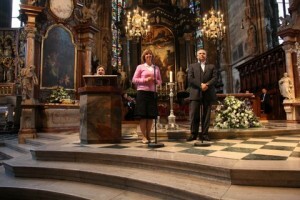 If you recall, Marija was one of the visionaries I observed at St. Stephen’s Cathedral in Vienna. At the conference, I was able to meet and receive a hug from Marija: an incredible gift from God and Our Blessed Mother! My Mother and I at the 2011 Sacramento Marian Conference. Here I was able to meet and be present with Medjugorje visionary, Marija Pavlovic, during her apparition with Our Blessed Mother. My life hasn’t been the same since the evening of September 23, 2010. I have taken Our Lady’s messages to heart: fasting, praying the rosary, receiving the sacraments. I also recently joined a Bible study on campus. I have to laugh because growing up I was always extremely close to my mother. God saw that I was slipping away from Him and knew exactly what to do. He sent His Mother to bring Me back to Him. There isn’t a day or hour that goes by when I’m not thinking about Mary. I love her so much, and I’m so happy to have her as my Mother. I recently heard a man quote a wonderful phrase that I knew directly related to me. He said, “When my time comes. When I die and leave this world and am standing in front of Jesus at Heaven’s gates, Jesus will look at me and say, “Oh yes, My Mother has told Me all about you.” I’m so thankful for Our Lady’s intercession. She saved my life and healed my soul, bringing me closer to Her Son. I can’t help but feel excited, as I sit in anticipation, wondering where this new found love will lead me next. Read more stories, such as this, in the book, Full of Grace: Miraculous Stories of Healing and Conversion through Mary’s Intercession. Christine Watkins is an inspirational speaker and the author of Full of Grace: Miraculous Stories of Healing and Conversion through Mary's Intercession and Transfigured: Patricia Sandoval's Escape from Drugs, Homelessness, and the Back Doors of Planned Parenthood. See www.christinewatkins.com and www.QueenofPeaceMedia.com. Previous post Entertainer Lola Falana was healed in Medjugorje. Medjugorje miracles do happen. Medjugorje apparitions and more will be live-streamed June 23 and June 26. Receive the blessings of being there, and see a beautiful video celebrating the 30th anniversary of the apparitions. Adam, I wept with you when I read this story, and felt some of the love you have for Our Blessed Mother. My wife and I pray the rosary daily with Denis and Cathy Nolan live-streaming over http://www.marytv.tv at 10am EST. Today he praised the book, “Full of Grace.” We are ordering it today! Thank You for this testimony. I am sending it immediately to my friend whose daughter needs a conversion, and I pray that it happens. I am praying for the same for my children. I know my children will return one day to the Church because there is Jesus waiting for them in the Blessed Sacrament, and I know that Mary will lead them. God is good. I am glad you have seen your son return to Jesus. Your prayers have been answered and Mary has heard and God has answered. God bless! Thank you for your account. 25 years ago I visited Medjugorje and experienced the very same gift from Mary, while I prayed before her statue. I have tried to describe it a few times to people close to me, but I never nailed it as precisely as you did in your article. Over the years, through many challenges, I have returned in my mind to that experience as my anchor, my hope, my promise, and my motivation. It is as fresh in my mind today as it was 25 years ago. Like you, I was utterly astonished at the intensity of the divine love, as shared by her. Have a great life, truly! I also want to extend an appreciation to Christine Watkins for not only doing an incredible job on my story, but for the many lives she has impacted. I am forever indebted to Our Blessed Mother for her divine intercession, and eternally grateful to Our Lord, Jesus Christ, for the gift of Mother Mary to His children! I also want to thank all of you for your kind and inspiring comments. I hope my story in some way can bring others back to Christ. I will keep all of you in my prayers all the days of my life. As a young adult woman, I have to say, it is so very refreshing and encouraging to hear of young men striving to live their lives for Christ and the Blessed Mother. There is nothing more beautiful and attractive than that. Thank you, Adam, for giving us young ladies hope in finding a man who pursues heaven and virtue. I had the wonderful gift of visiting Medjugorje, and it is truly something very special and not of this world…the most beautiful place on earth. May God bless you and may Mother Mary always hold your hand and keep you close. I was so touched by Adam’s story. I have a son who sounds just like Adam. He just turned 21. He used to be close to God, but after meeting a fallen away Catholic girlfriend, he stopped going to Mass. (He’s not with her anymore). People in his life made him question his faith, and programs on TV didn’t help either. He began sleeping through Mass and refused to go. He said that he didn’t agree with the Sacrament of Reconciliation anymore. He doesn’t know if he believes in the true presence of Jesus in the Eucharist. It breaks my heart. 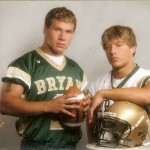 He, too, was a big, tough, cool, popular football player. This all happened about a year and a half ago. I have been praying for his conversion every day, since he told me he no longer wanted to go to church and doesn’t know what to believe. I began saying the rosary every day and began praying for his conversion. I know that the Lord hears my prayers and that Mary intercedes for me. I trust that one day he will come back to the Lord and the Sacraments. I know that God can see around the corners that I cannot see around, and He knows what’s to come. How special to have a conversion experience like Adam’s. I pray that my son and husband will have such an experience! Adam, God bless. I loved your story. Pray for me, and keep up the good work! Oh boy! Wonderful story to share and such a testimony for mothers such as myself whose children do not attend Mass. My oldest views the Blessed Mother as one in being with the Holy Trinity (SHOCK); she had such a beautiful love for the Catholic faith, which has been reduced to something of her own making. My other daughter lives the gay lifestyle. It’s hard not to take this personally, and I wonder where it all went so spiritually wrong for them. I pray for my adult children and leave them at the altar before the Blessed Sacrament, but I knowingly admit I need to do more, such as fast and say my daily rosary. I need to leave this world knowing I did all I could for them. I loved this story. I can relate with it and the feelings expressed. Loved reading about the story of your conversion. I had a similar experience. But instead I felt the presence of Jesus really close to me while going to Communion. I just knew he was there and felt His overwhelming love. And, yes, I cried like I had never before. Mary will surely grant you all the graces you need in your earthly journey. What a beautiful testimony! Thank you, Adam, for your sharing. I am so reassured by the power of our Lady’s intercession and love. This is a site where you can learn about Medjugorje, read moving testimonies from people who have traveled there, learn of Medjugorje events and happenings, see videos and pictures of miracles, and read Mary's messages for our world today. A Catholic Best Seller . 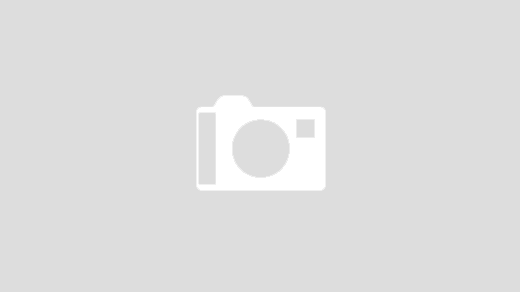 . .
A new Medjugorje book! 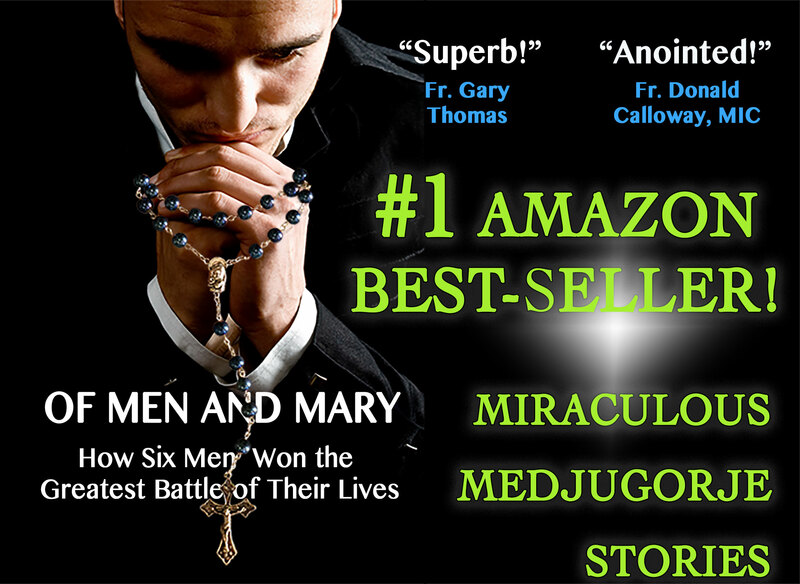 OF MEN AND MARY: How Six Men Won the Greatest Battle of Their Lives. Endorsed by Fr. 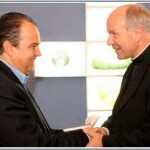 Donald Calloway and Fr. Gary Thomas. A the new book trailer for OF MEN AND MARY! Click here to watch. The Medjugorje book, Full of Grace: Miraculous Stories of Healing and Conversion through Mary's Intercession. Endorsed by Wayne Weible, with a foreword by Fr. Robert Faricy. Sign up for the author's newsletter: Find your way Home A free email newsletter sent out every other month with insights and tips from the Church and the saints to help with your discernment. Your email will not be shared. Fr. Mark Beard traveled to Medjugorje as an angry skeptic . . .
Full of Grace book trailer video. See the people in the book! Medjugorje Miracles © 2019. All Rights Reserved.